As a casual fisherman, you've always enjoyed the way those red and white bobbers make your fishing trips a laidback affair. You set up your line so the bait goes to the perfect depth. Then you watch the bobber float, kick back in the boat, and wait for a bite. When that thing suddenly submerges, you spring into action, set the hook and reel in your catch! And you did it all without spilling your drink. 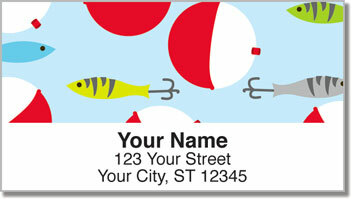 Big Bobber Address Labels let you celebrate your love of fishing with style! 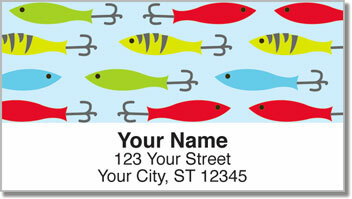 Stick them on all your outgoing mail to save a ton of time. 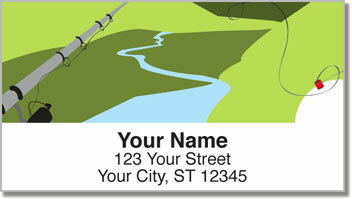 A convenient self-adhesive backing means all you need to do is stick your name and address on each envelope. An easy job for an easy-going angler! 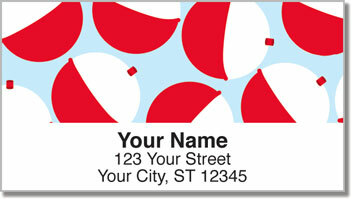 Order your own Big Bobber Address Labels today! You can also get matching personal checks!